I am currently a fifth year math PhD student at Duke University working under the guidance of Professor Thomas P. Witelski. For the past four years, I have been working on problems in the field of fluid dynamics, more specifically, the nonlinear diffusion processes in thin films. 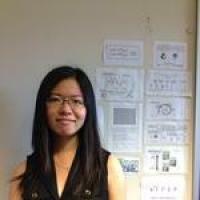 Please note: Hangjie has left the Mathematics department at Duke University; some info here might not be up to date. I am currently a fifth year math PhD student working under the guidance of Professor Thomas Witelski. My research interests primarily lie in partial differential equations, fluid dynamics, scientific computing and their applications. For the past three years, I have been working on problems in the field of fluid dynamics, more specifically, the nonlinear diffusion processes in thin films.